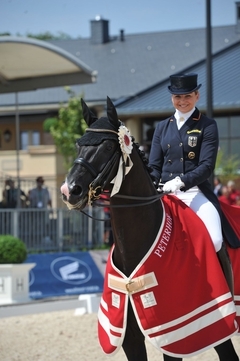 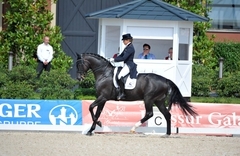 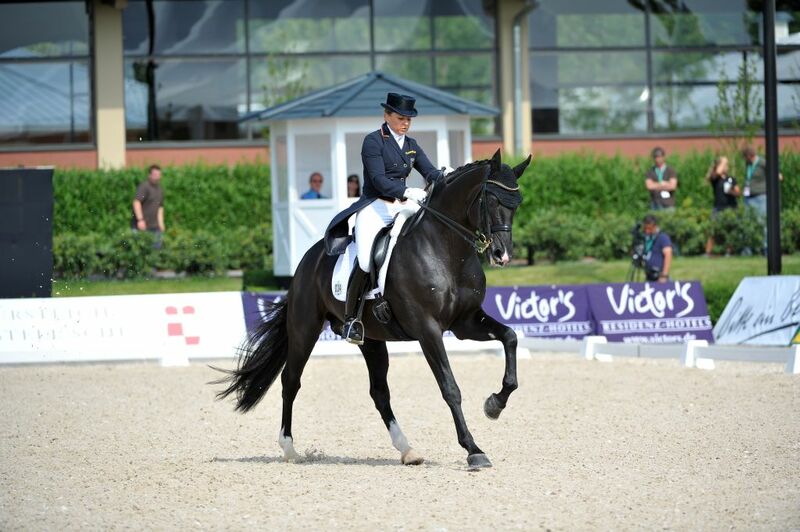 Fackeltanz OLD and Dorothee Schneider /GER took second place in the Inter I at the Peterhof Dressur Gala in Perl-Borg, Saarland. Unfortunately they had a little problem with tact in the first extended trot but were OK again for the rest of the test, once again self-assured with a very expressive canter tour, straight flying changes even though one of them was a bit flat, and good pirouettes. 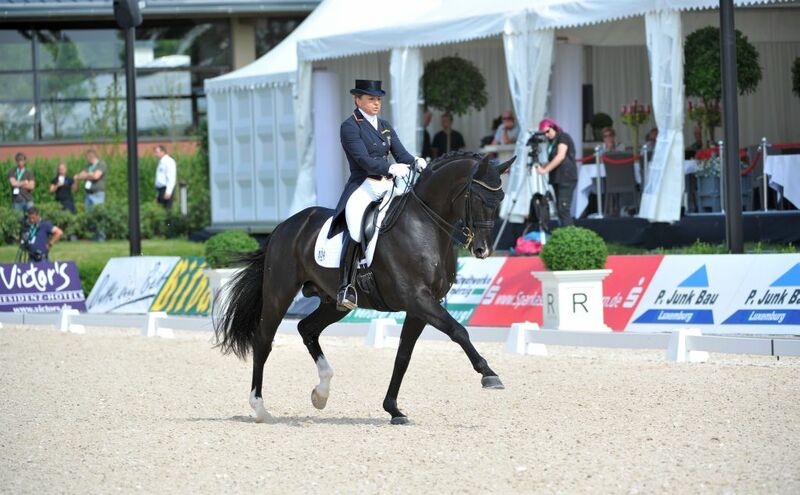 In the end they finished second with 73.92 precent - just behind the winning couple, Daemon Jerome and Uta Gräf/GER (74.97 percent).